Disclosure: The following review features affiliate links. This product was provided to me free of charge for review purposes. Kanger has, for some time now, been at the forefront of tank technology. 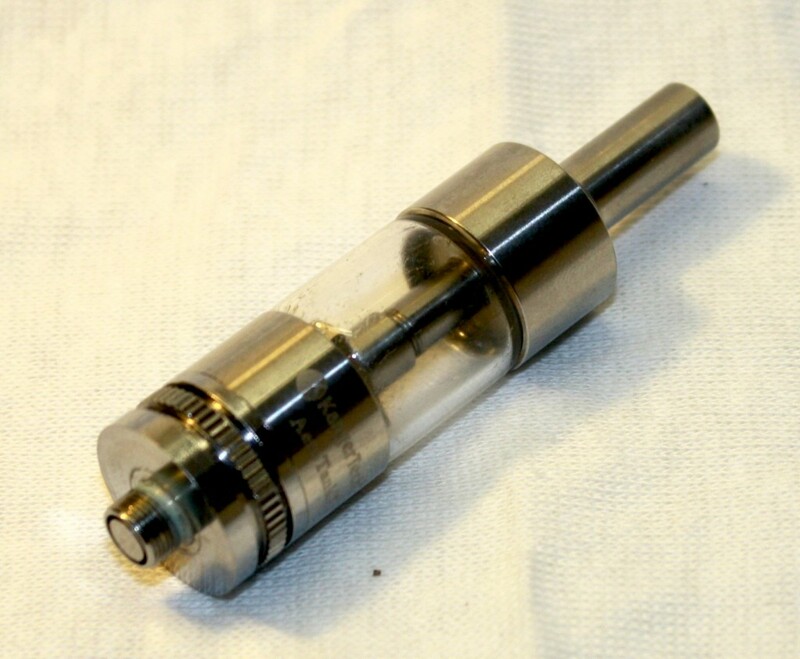 The company’s clearomizers and tanks have always been hugely popular from the smaller devices to the glass Protanks. The Aerotank is definately in the Protank family, but it seems to be somewhat separated from the design language of previous models. Essentially gone are the gentle curves of that series. Instead, the Aerotank has a much more minimalist look with straight edges and an apologetically cylindrical shape. 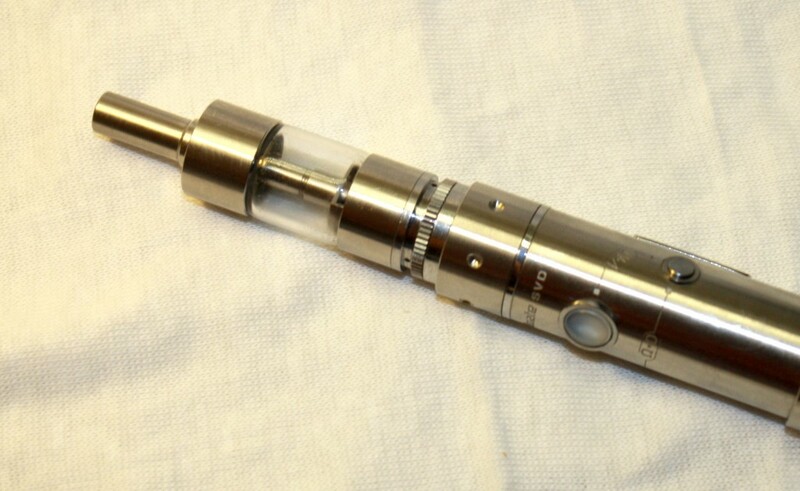 For example, the top of this tank is flat and accepts a regular 510 drip tip. It does, however, use the same glass as the other tanks in the family, but you don’t really notice the curvature of the tank with the top and end caps of the Aero. Internally, the new tank design is similar, yet different from the others. It is a sort of hybrid of the Protank 2 and 3 lineup. Like the 3, the Aero rocks a dual coil setup. However, unlike the 3, the replaceable heads feature a stem like the Protank 1 and 2. However, these heads are bigger and not compatible with the older tank lineups. The internals used to trap the glass tank between the top and bottom caps remains largely the same. Why mess with a good idea, I suppose. This makes for a glue-free design (unlike the original Protank.) and also facilitates easy tank replacement. Of course the star of the show is the bottom portion of the tank. This looks like a sort of appendix to the typical tank. There’s a knurled band that works as a dial in this last part of the tank. This is the airflow control. How it works is pretty simple. The little band covers the airflow holes in the side of the tank. Loosen the band, moving it up toward the top of the tank, and the airholes are covered making the draw about as tight as you can get. Go the other-way and it opens the the airflow all the way giving you a very airy draw. Chances are most people will opt for something in between the two extremes, but finding out where your sweet spot is, that’s half the fun. There’s one particular thing I really like about the adjustable airflow. I can close it entirely to help force liquid into the wicks on a new head. This keeps everything primed. I’ve always disliked the sort of break-in period of the Protanks where they always seemed to burn a little before they’d start performing well. Once broken in, like the others in this family, the Aero works a treat. Vapor production can be adjusted with the airflow. Open it up to mix more air into the vapor for more volume, or lower the air for a denser vapor that provides a slightly more authoritative throat hit. It’s hard to not like that option. I do want to note that like many other dual coil tanks, I just don’t see as much of a performance bump as I used to with the old-school dual coil cartomizers. Something’s just not there for me. I’d rather the Aero keep the single coil heads of the other Protank lineup for compatibility and rebuildibility (I just made up a word right there). You simply can’t throw 15 watts at a dual coil clearomizer and expect anything good to come of it. It works best in the same wattage range as the single coilers. Of course, that’s not to say it’s anything terrible. Vapor is good, flavor is good. All the pieces are there. It just seems like the second coil is a bit of overkill. 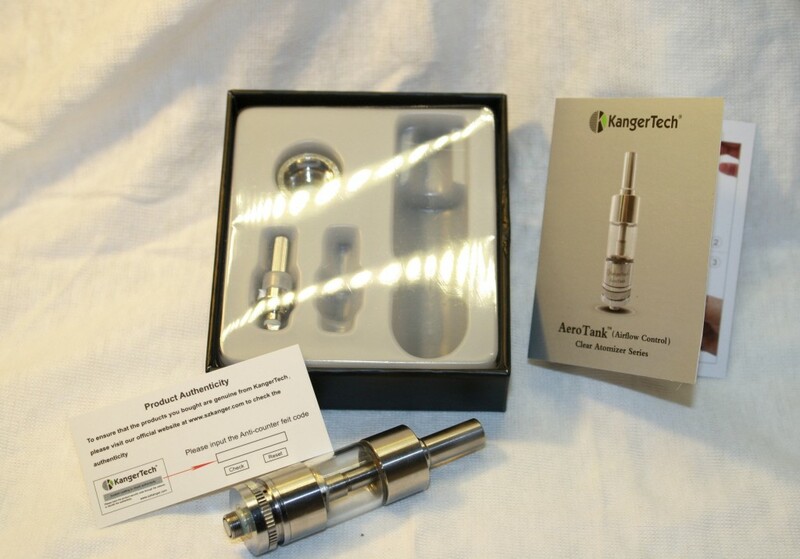 The Aerotank offers much of what the Protank series of Kanger tanks offer. Performance is good once the thing gets going, and the glass tank is nice for those of us who favor abusive e-liquid. The adjustable airflow will ensure most people will get an experience they like. I do think the dual coil is a bit of a novelty, but that doesn’t particularly take away from the device. Replacement heads not compatible with other Kanger models.